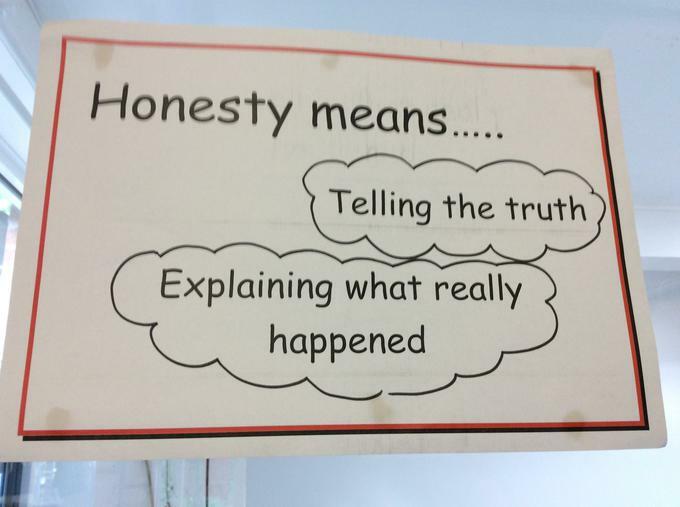 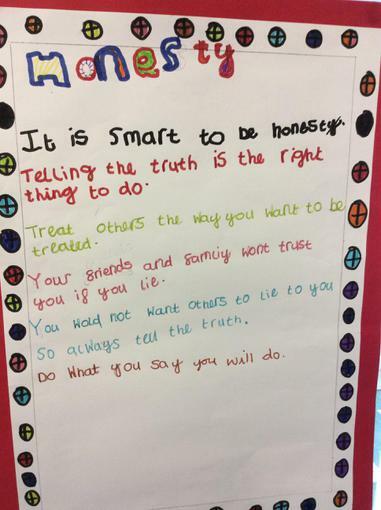 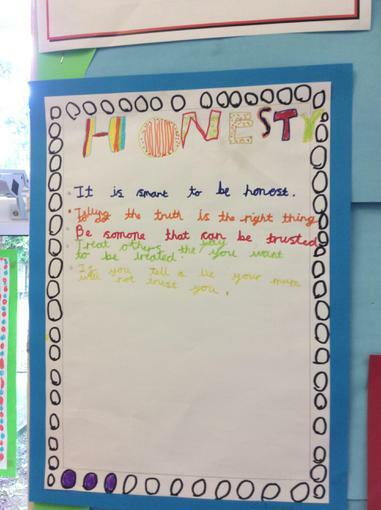 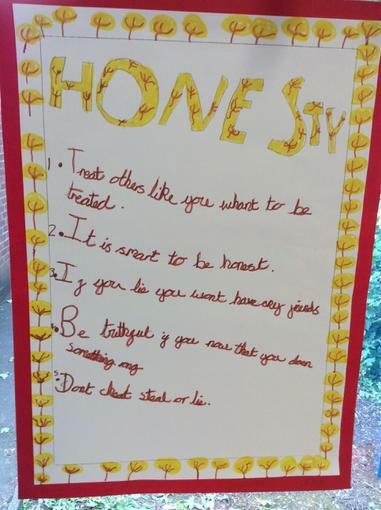 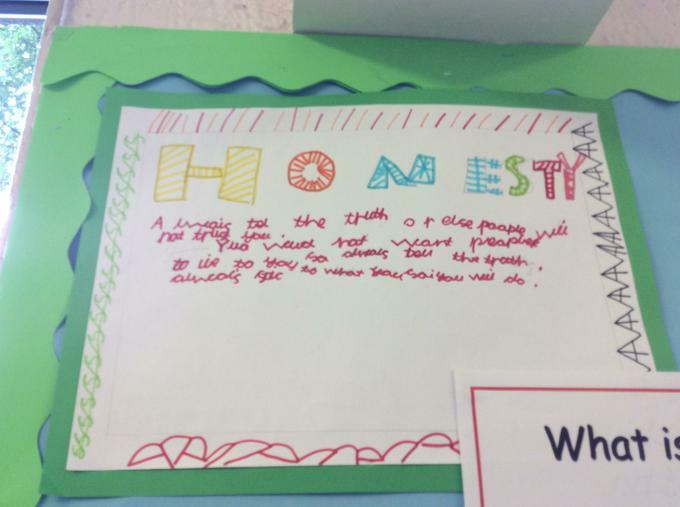 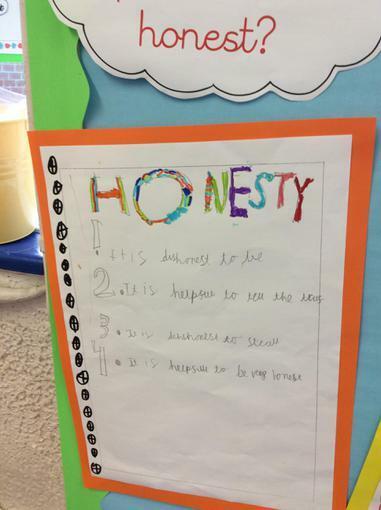 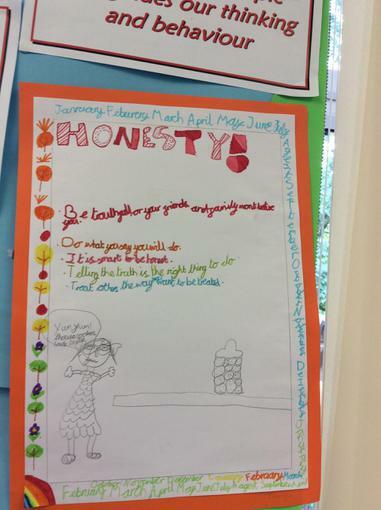 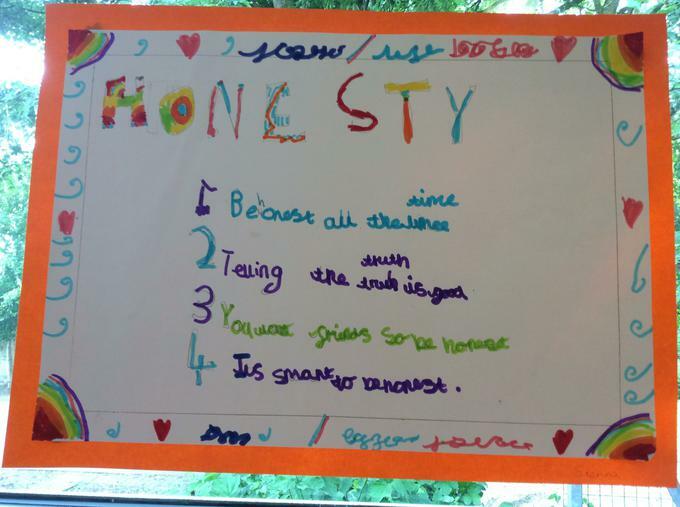 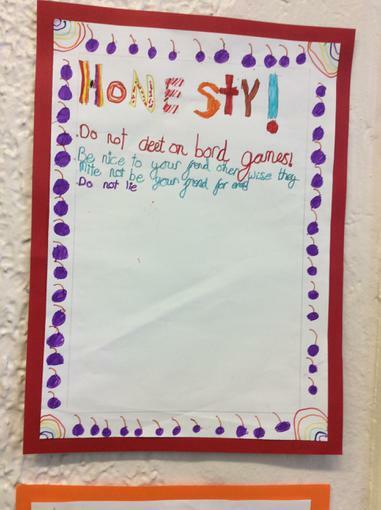 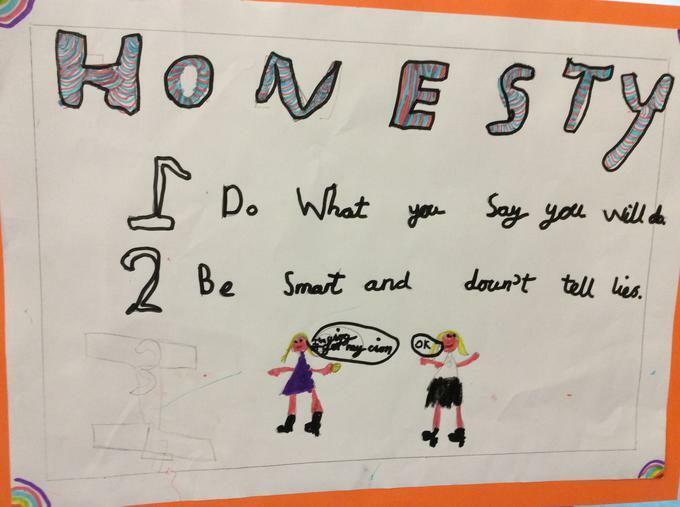 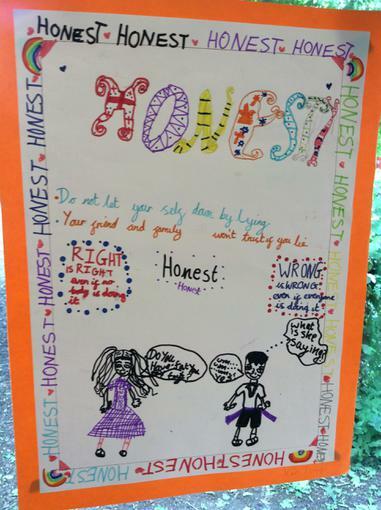 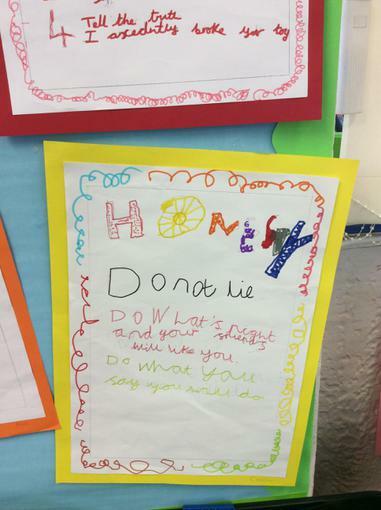 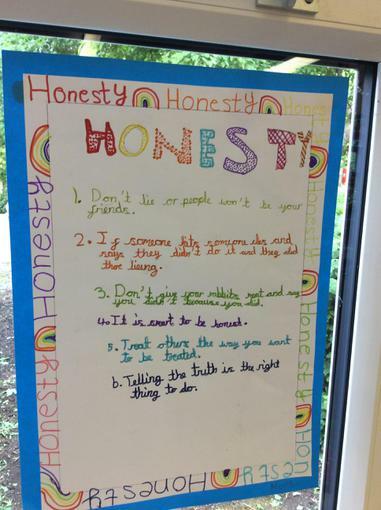 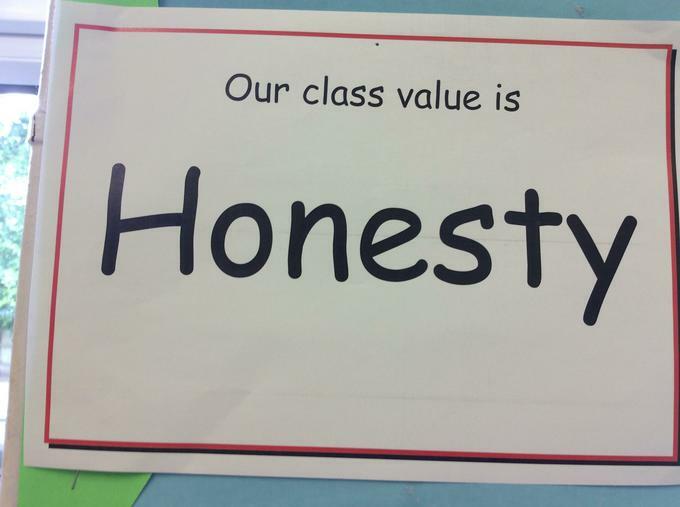 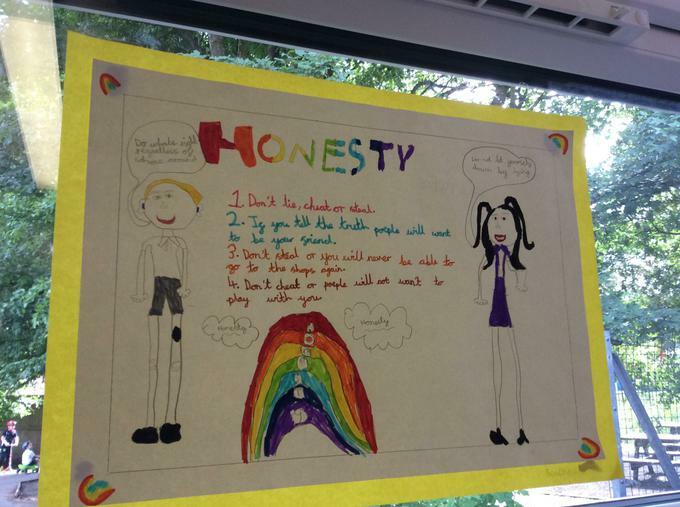 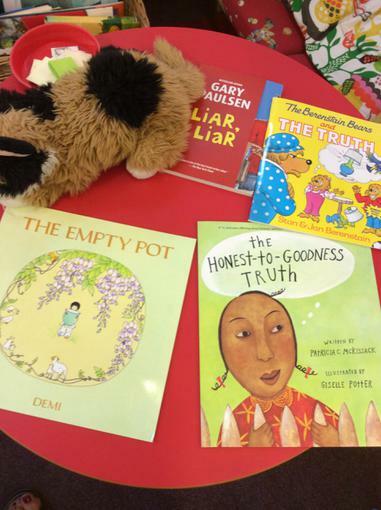 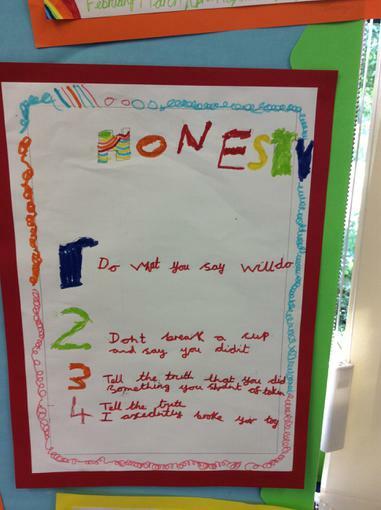 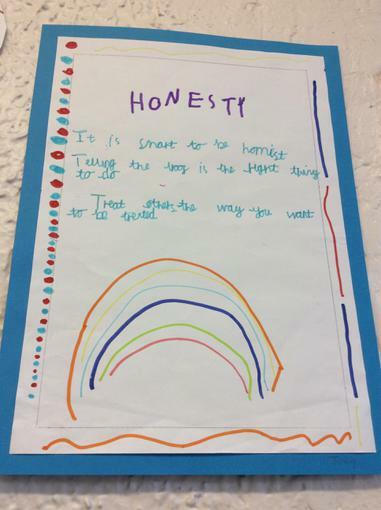 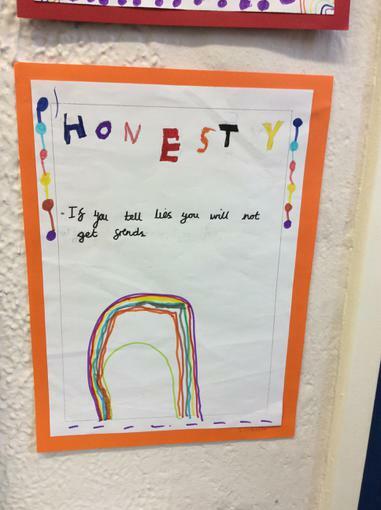 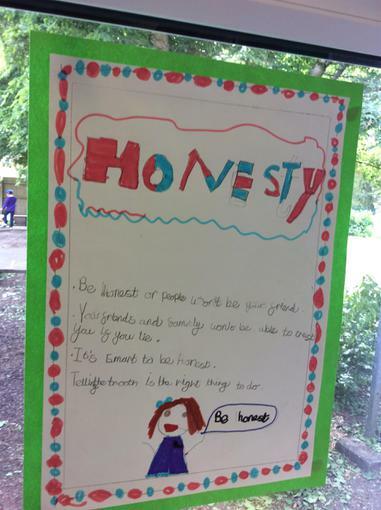 We considered what being honest means...... telling the truth. 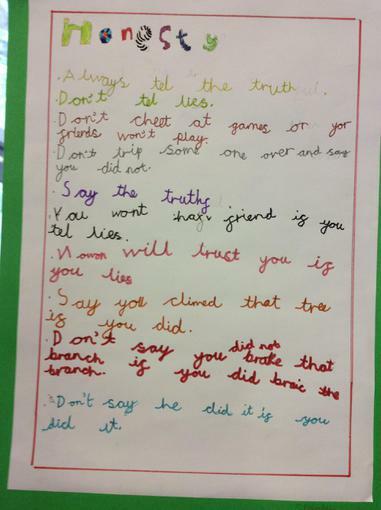 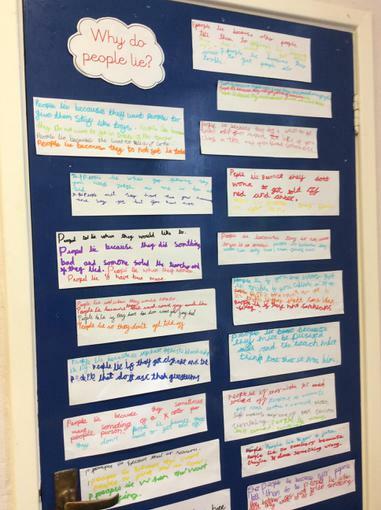 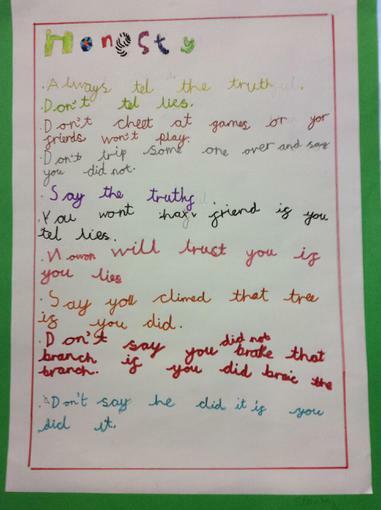 We thought about all the reasons why people lie. 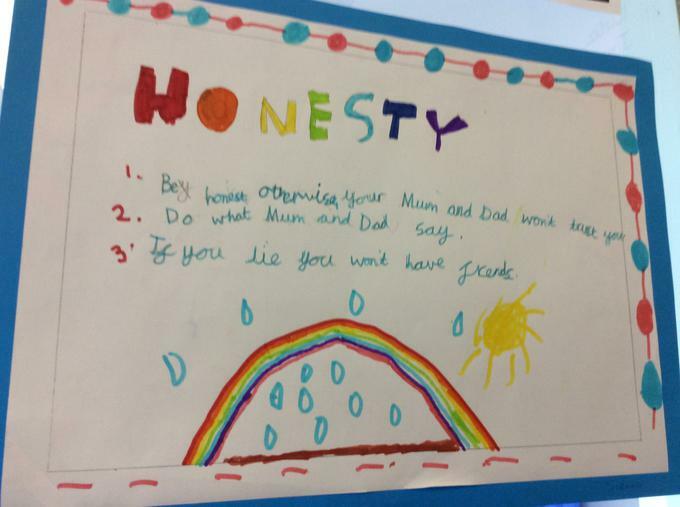 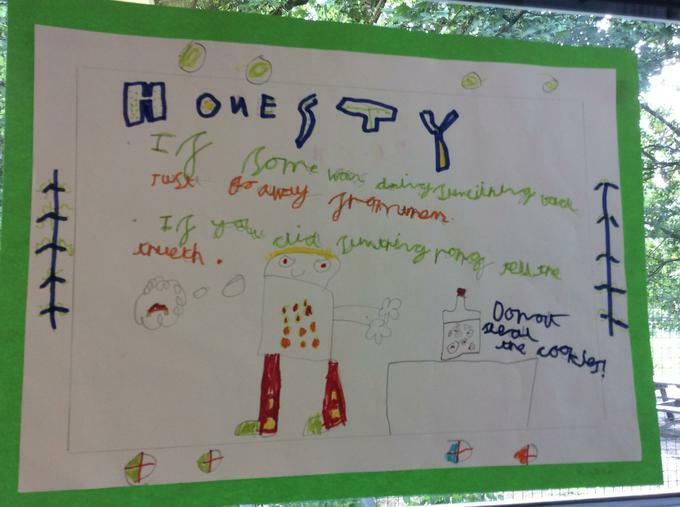 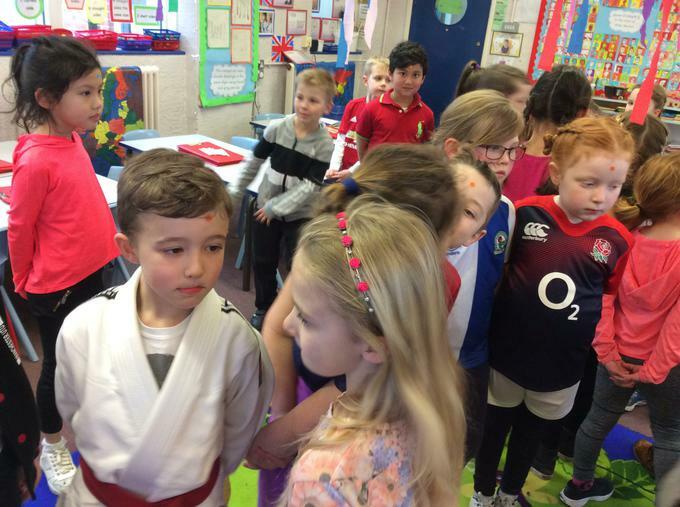 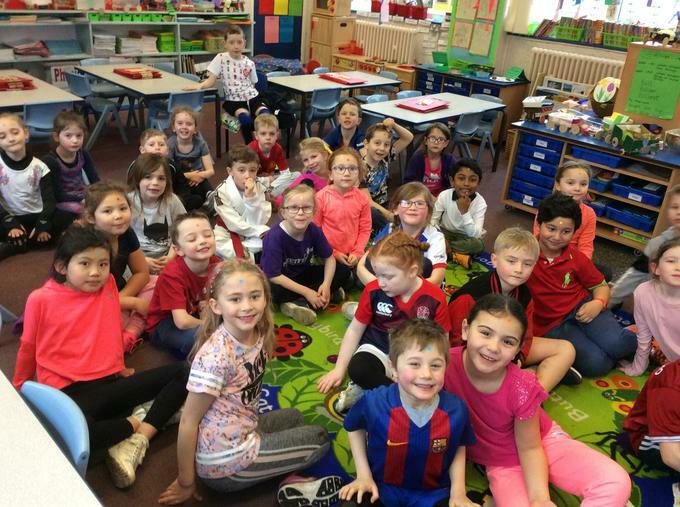 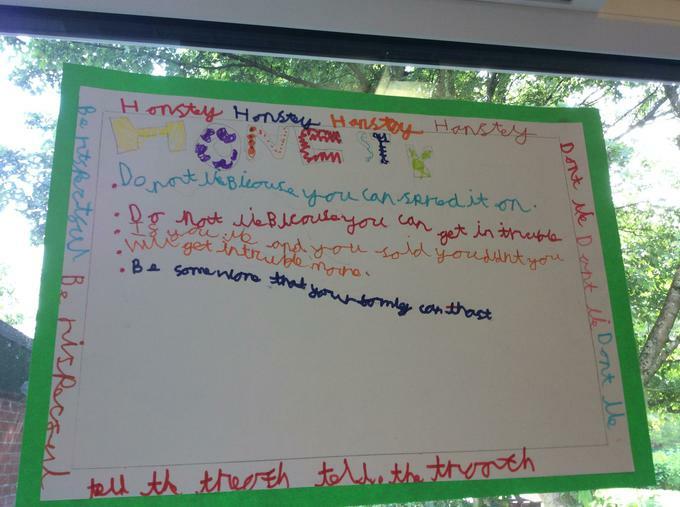 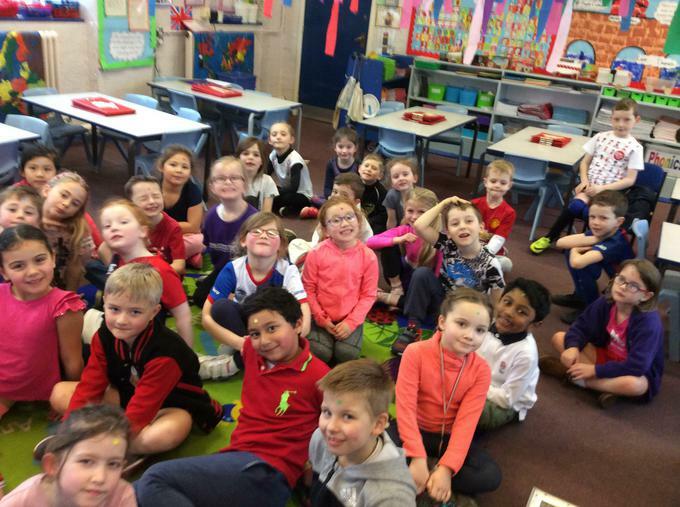 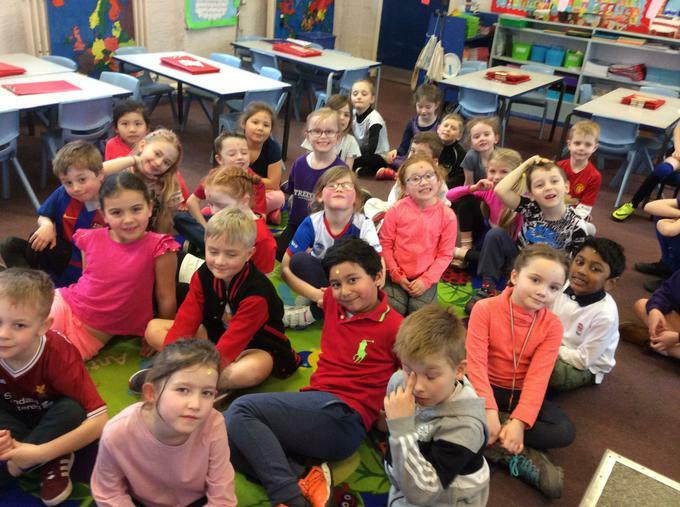 We discussed what it feels like when you have been dishonest and the consequences of your dishonest behaviour. 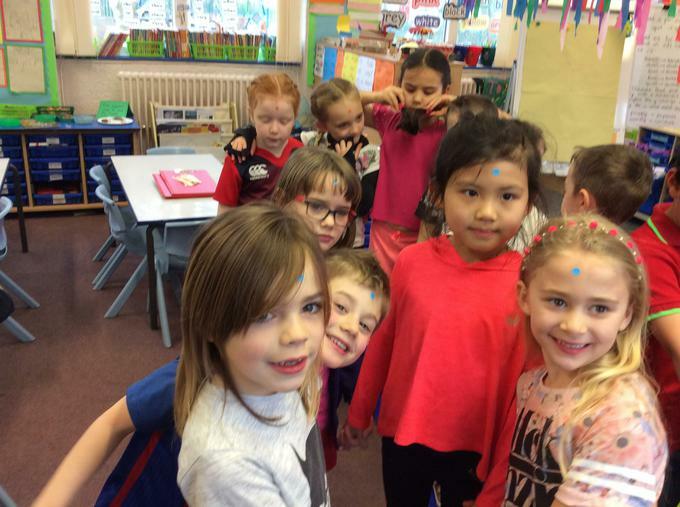 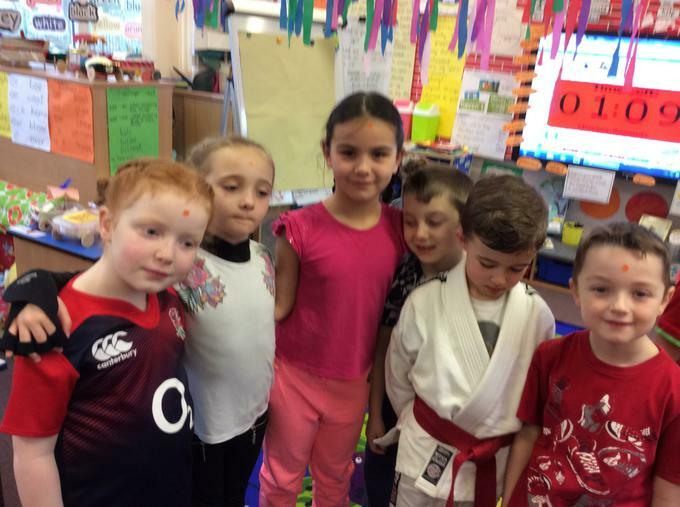 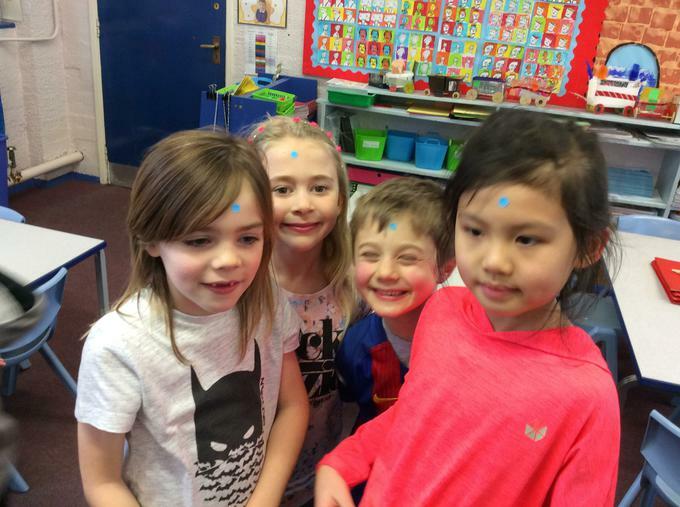 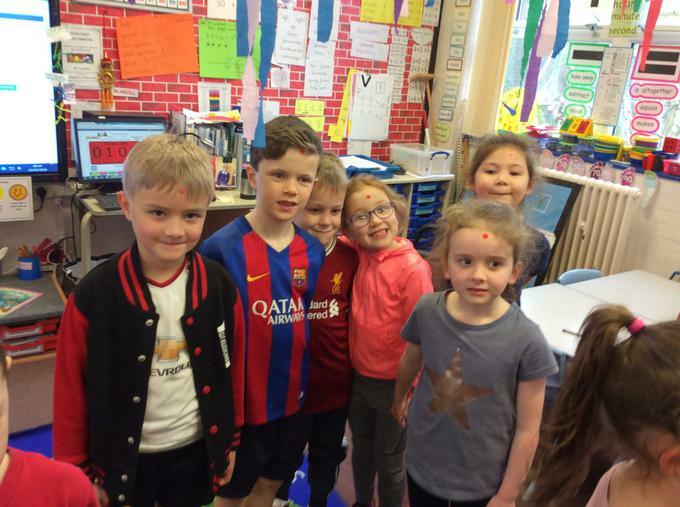 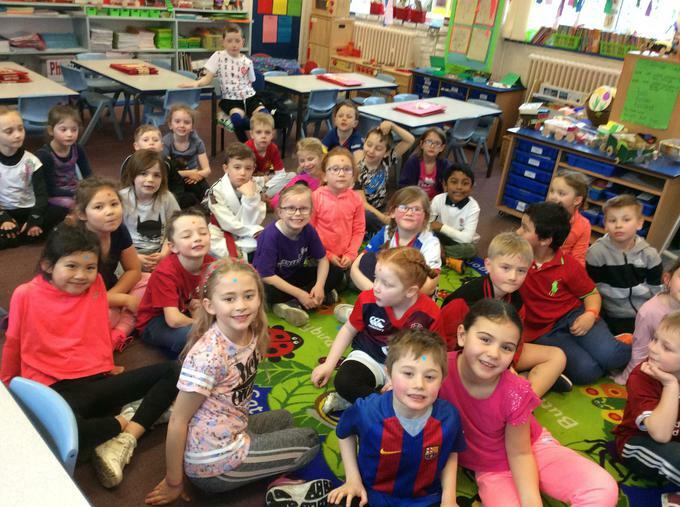 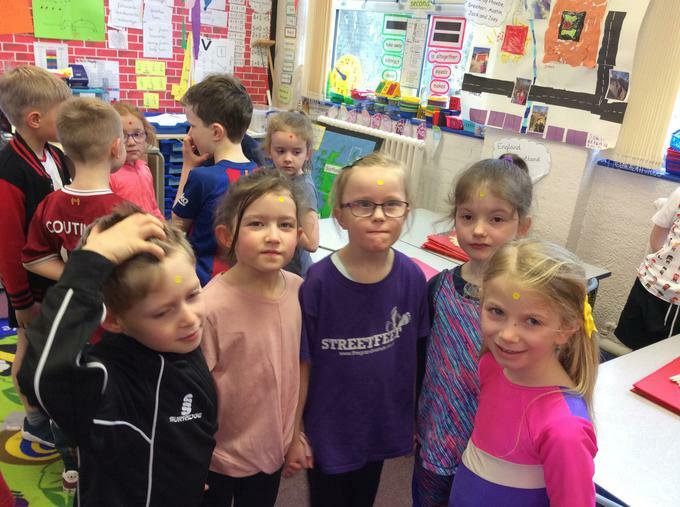 The children had to find out the colour of their dot through non verbal communication then find the other members of their colour group. 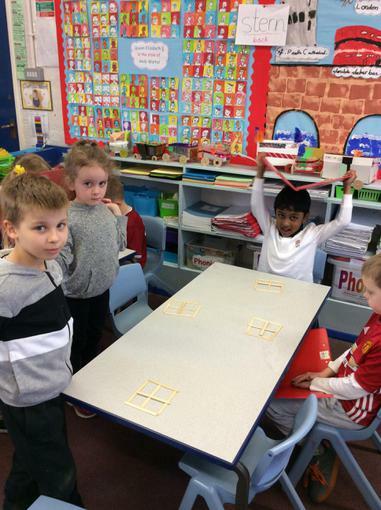 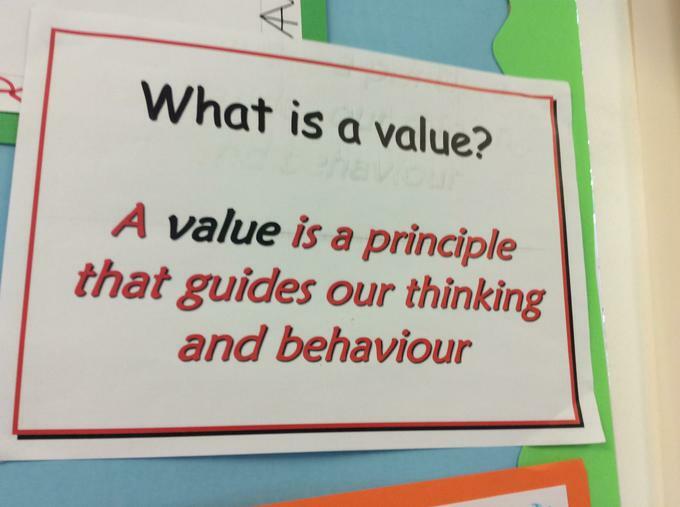 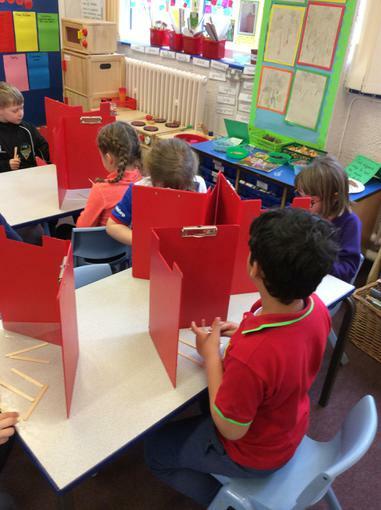 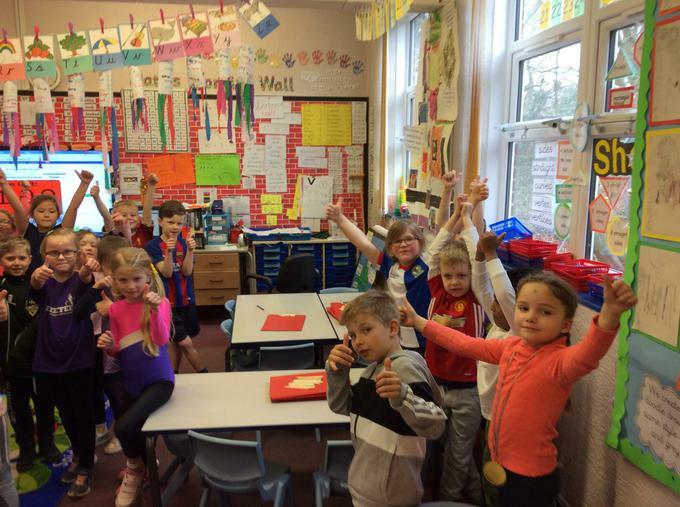 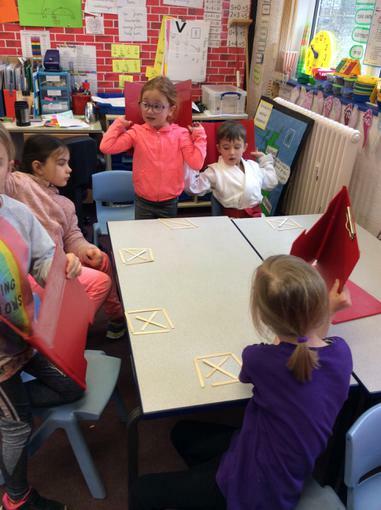 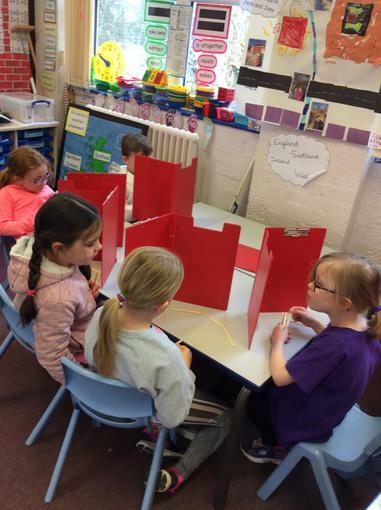 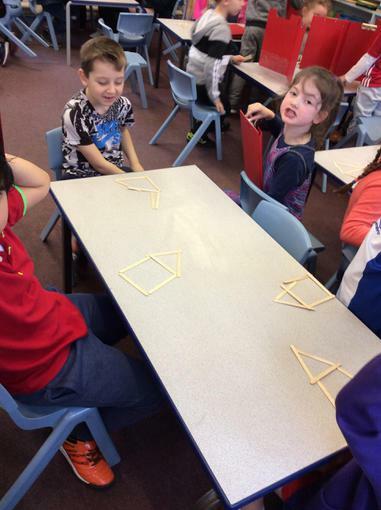 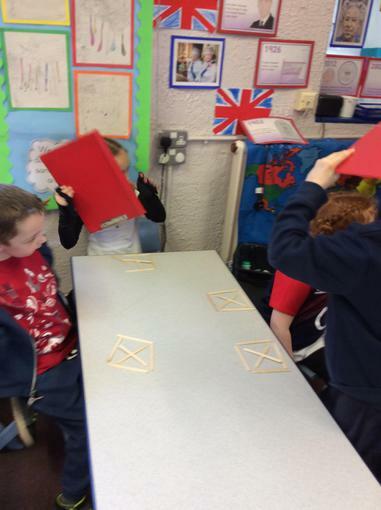 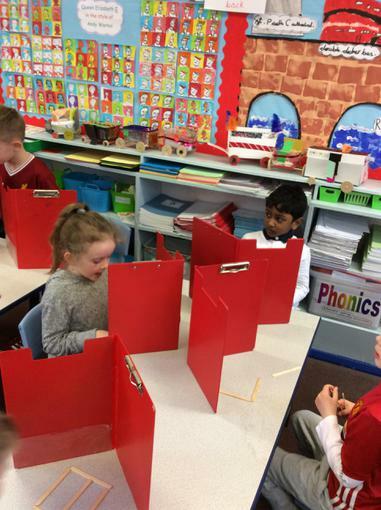 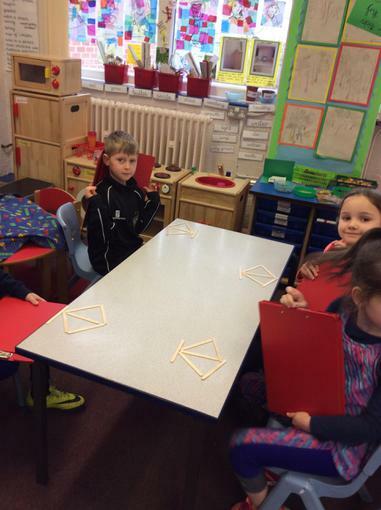 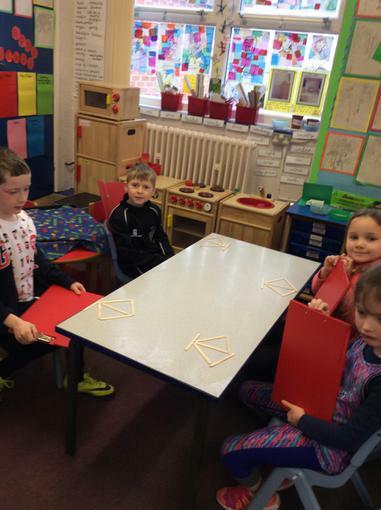 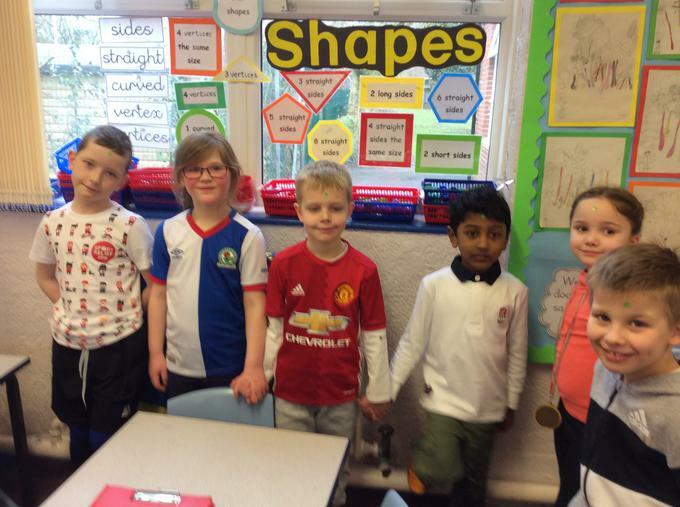 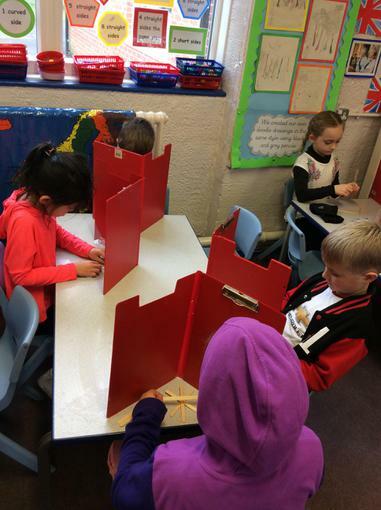 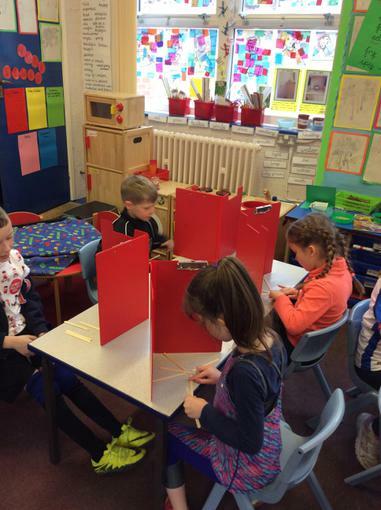 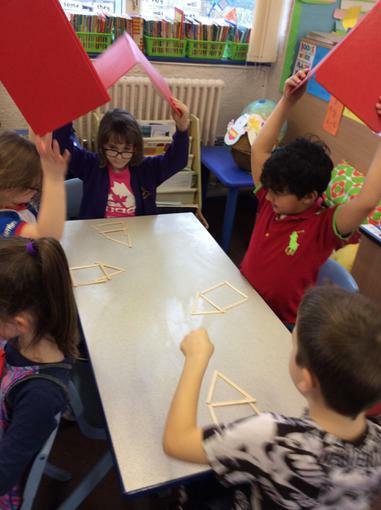 2/1S were excellent at this! 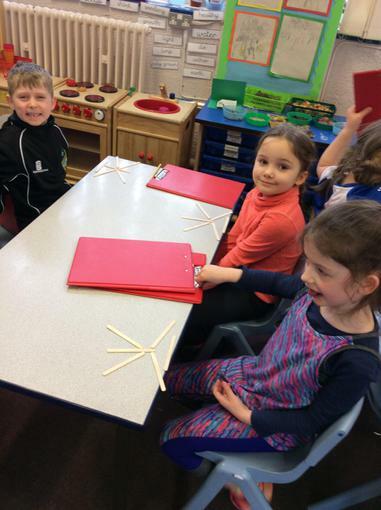 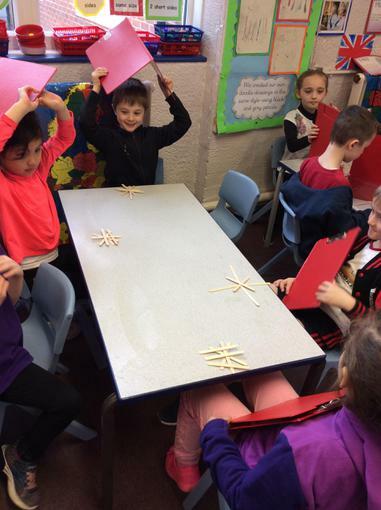 The designer created a lolly stick design hidden from the rest of the team, he/she explained what it looked like so the rest of the team could make a copy of the same design.